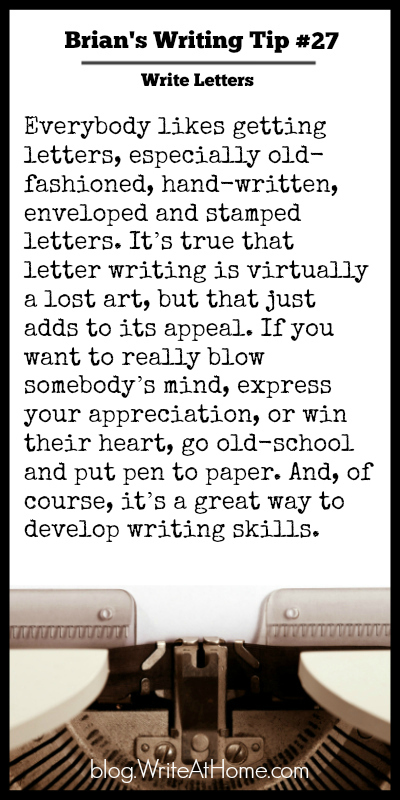 Write letters. Everybody likes getting letters, especially old-fashioned, hand-written, enveloped and stamped letters. It’s true that letter writing is virtually a lost art, but that just adds to its appeal. If you want to really blow somebody’s mind, express your appreciation, or win their heart, go old-school and put pen to paper. And, of course, it’s a great way to develop writing skills.